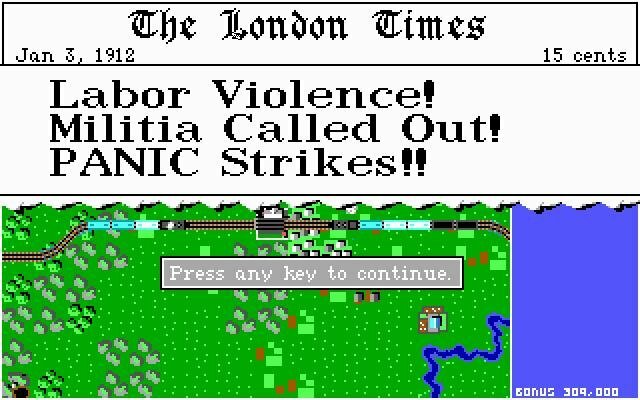 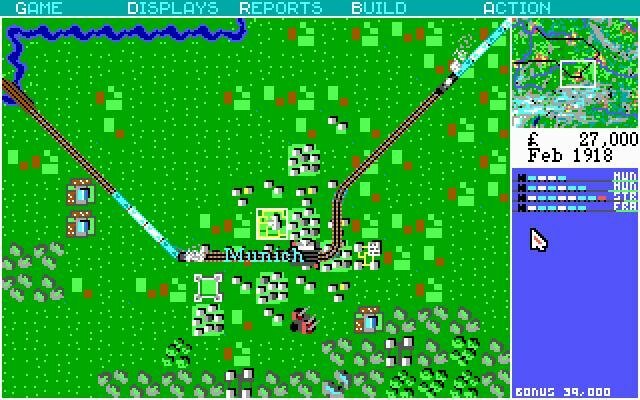 At the time of its release, Sid Meier’s Railroad Tycoon was the most advanced game of its type. 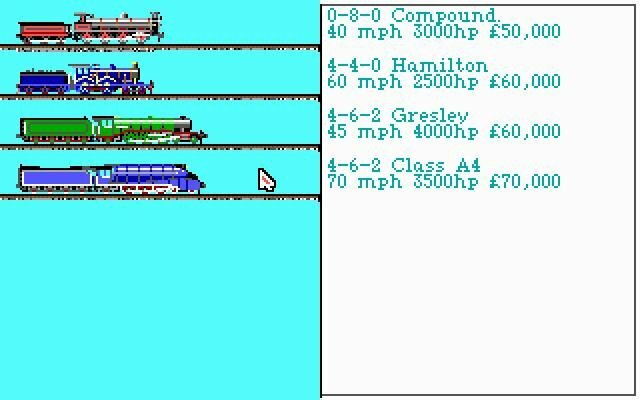 Even today, with its rinky-dink EGA graphics and low resolution (320×240), the basic concepts of building and fiscally managing your railroad company is an exercise of careful planning. 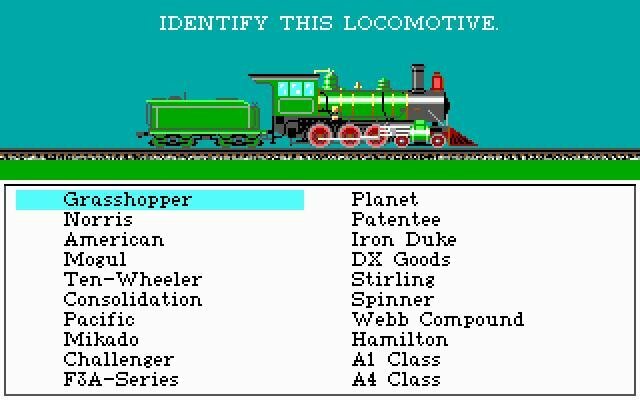 The game recreates railroading in the US and European continents between the early 1800s (when steam-powered locomotives were just being introduced) to the hustle and bustle of diesel and electric trains that dominate modern times. 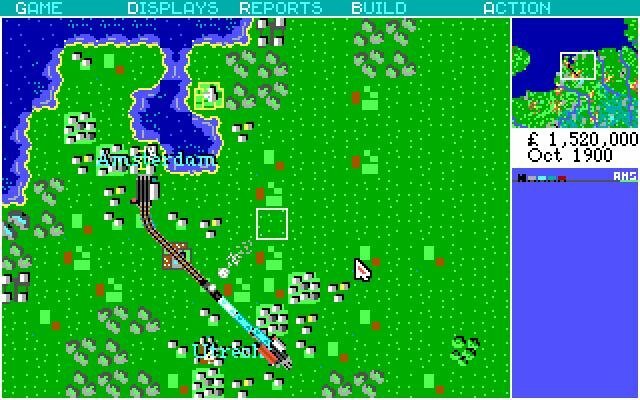 Railroad Tycoon lets you lay railroads wherever you think there could be a profitable line. 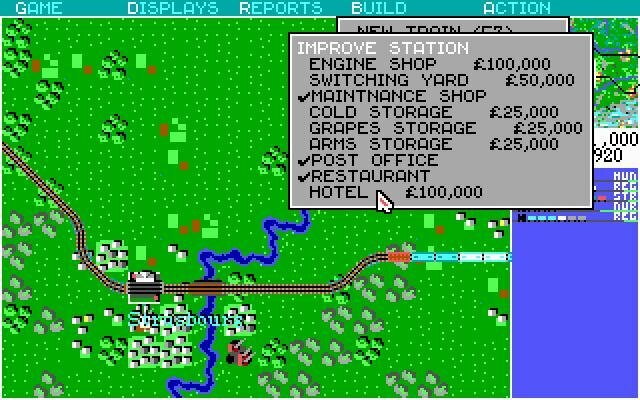 You can connect cities and haul mail and passengers, connect factories to create supply lines, all the while managing those trains yourself (you can buy your own locomotives and assign the type of goods you want to haul). 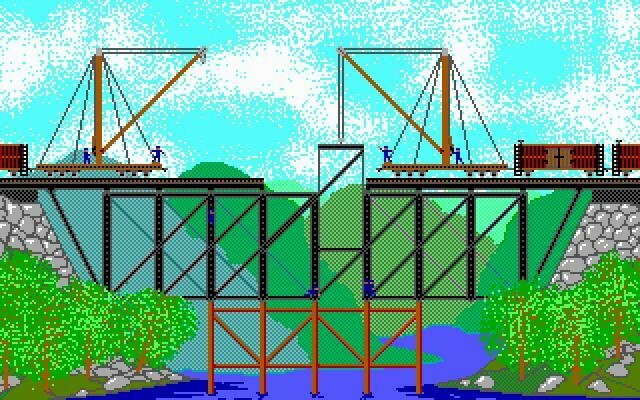 You compete against other companies as well, all under a fluctuating economy that can potentially cripple your own enterprise if you’re not careful. 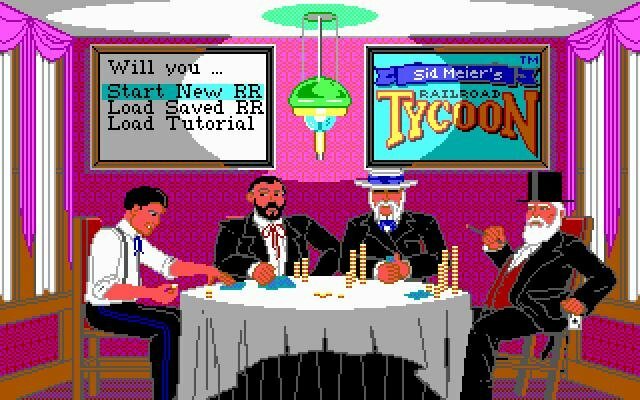 There’s also a complex stock market mini-game that you must engage in on the side if you’re to manage your financial well-being.